What's better – fabric softener sheets or liquid fabric softener? The clothes dryer is among the most beloved home appliances for the way it has simplified and shortened the laundry process. Dryer maintenance is extremely important because dryers and lint build-up are a lethal combination. Dryer lint buildup causes thousands of residential fires across the U.S. and Canada every year. Flexible white vinyl tubing is highly restrictive and does not meet U.S. federal fire safety standards. Yes, every cycle. It's that important. Also, once per season, use a long-handle brush or vacuum attachment to remove lint from the filter's chute, too. Your dryer's entire venting system should be cleaned out from the inside of the dryer to the outside vent cap at least once per year. Professionals can be hired for this job but it's usually a simple do-it-yourself job. Our bestselling 20-foot cleaning brush enables you to easily remove lint buildup from within the entire tube from the back of the dryer to the outside of your home. Remove restrictions such as snow or leaves and clear shrubbery to enable proper air flow. Even if you're good about removing lint from the filter after every load, it's common for lint to build up within the dryer, too. 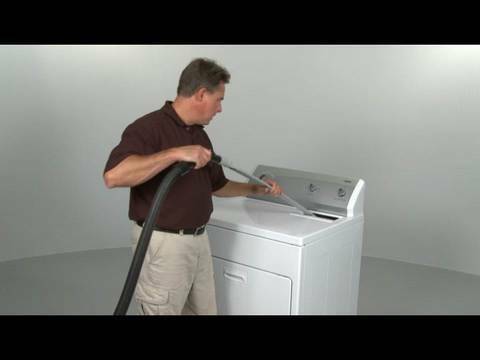 Once per year, disassemble the dryer and use a vacuum and a long vacuum hose attachment to clean out the lint. Enter your dryer's model number to find replacement filters designed for your model. If it's taking longer for clothes to dry, it's likely that lint is clogging the venting system and a thorough cleanout should happen a.s.a.p. Consider Lint Alert. It monitors for lint build-up and other blockage – alerting you if there is an air flow restriction in your dryer vent that could lead to a buildup of carbon monoxide in your home. Most dryers can dry a full load of laundry in fewer than 45 minutes. If the load is still damp, the venting system is likely clogged and you'll need to clean it out as soon as possible. Yes. Make sure you clean the lint filter before or after every single load. If you have some stubborn lint that won't budge, there's a special brush you can get to help. The brush is also great to clean out the filter's chute, or you can use the skinny tool attachment on your vacuum as well. Once a year, you should also clean out the inside of your dryer's venting system (that big tube going from your dryer to the outside). Clogged venting from your dryer could cause a dangerous buildup of carbon monoxide in your home. 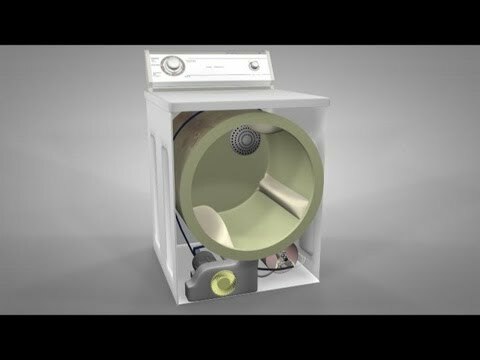 RepairClinic.com recommends monitoring the lint build-up and other blockage in your dryer with a Dryer Airflow Checker. It alerts you when there's airflow restriction in your venting – which if left could cause a buildup of carbon monoxide in your home. Don't overload your dryer. Follow the owner's manual for instructions on load sizes for your particular model. Clean out the lint filter after every load and once per year, clean out the entire venting system. Pay attention to drying times so that you'll know when there is a problem. We've found that liquid fabric softener does a noticeably better job softening fabric and reducing static cling. Additionally, softener sheets leave a residue that may clog the dryer's lint filter screen. If this happens, you can remove the residue using a small amount of laundry detergent and a soft-bristle brush and a cotton ball doused with a small amount of rubbing alcohol. Make sure the filter is fully dry before returning to the filter chute. Also, due to their stickiness, softener sheets have been known to find their way into the lint filter chute, within the dryer's interior and within the vents –attracting lint and leading to buildup. Yes. All appliances perform best when set up properly. 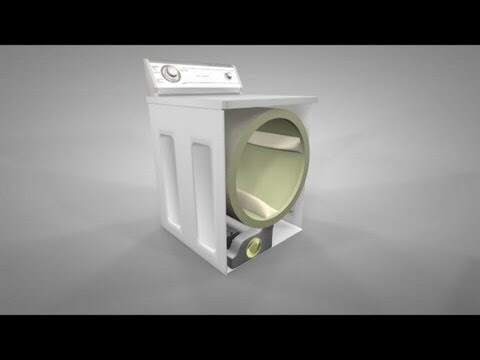 If a dryer is not level, it can cause components to wear out prematurely.